High-performance dust collection to provide a clean work surface. Includes 1 sandpaper sheet 2.0 amp motor for material removal with 1,600 orbits per minute. 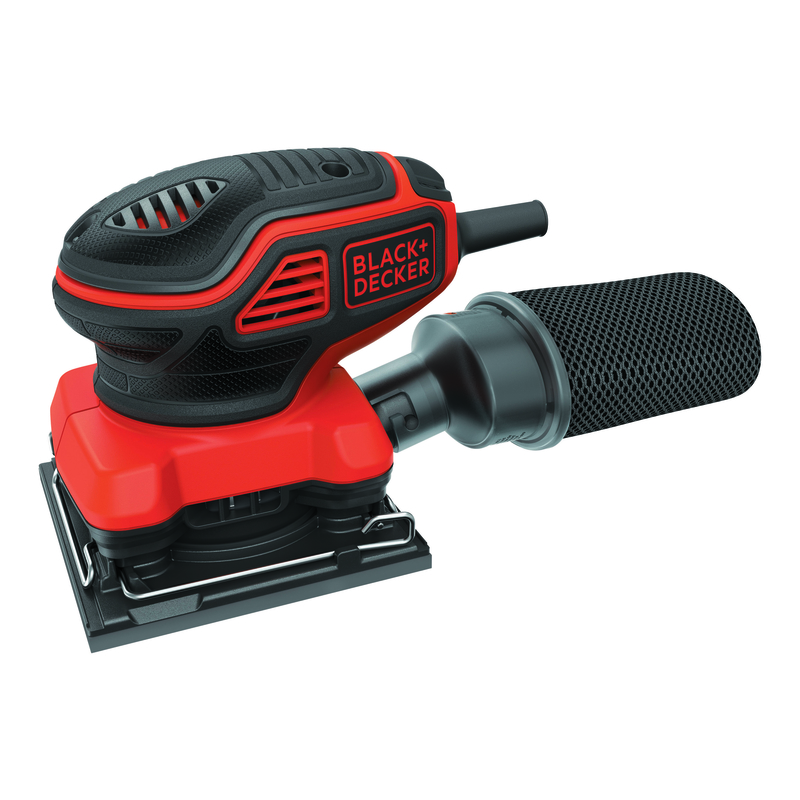 Black and Decker 1/4 sheet orbital sander features paddle switch activation for easy On/Off during application. This sander runs at 1,600 orbits/minute, at 2.0 amp of power for efficient material removal but with a compact size and ergonomic design that gets into tight spaces and maximizes user control. This sander offers high performance dust collection to provide a clean work surface. Best for use in finish sanding and detail work.